Let us discover the island of St. Maarten with a sightseeing tour that touches the ten most important sights in both the Dutch and French sections with stops to take photos and relax. 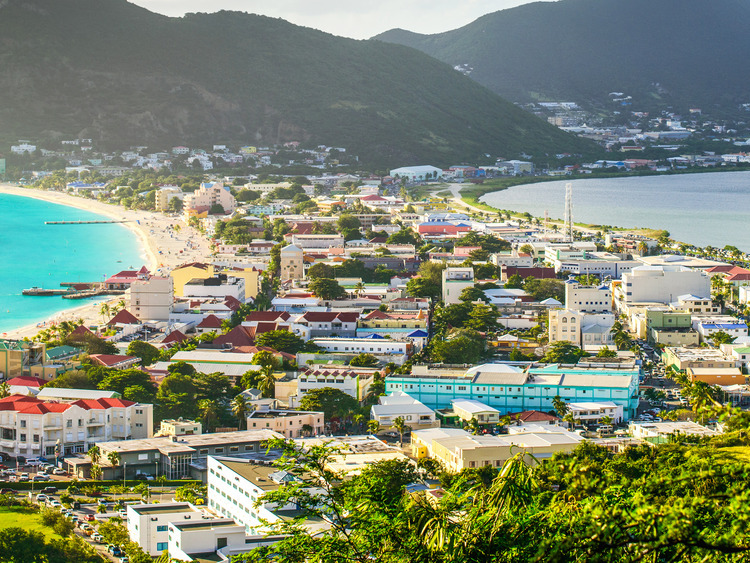 We leave the port behind us on a coach and go on a fun tour of the island of St. Maarten together with a cheerful guide illustrating the history and curiosities of the sights on our itinerary. We make short stops on the border between the Dutch and French dominions to observe the cultural and architectural characteristics that highlight the difference between north and south and stop briefly at Orient Beach, a marvellous white sandy beach lapped by crystal-clear waters and a popular destination with the jet set. We continue towards Grand Case, a characteristic fishing village which has become famous as the paradise of gourmands and reach the seafront of Marigot, French capital of the island. We enjoy a break at the Dreams beach bar, where we have some free time to sip a drink or stroll along the shore. Our guide then takes us to Maho Beach, where we can experience the thrill of seeing large airliners flying just a few metres from the ground. We make a brief stop for photos before continuing our trip. We drop by the Carousel ice-cream parlour, where we have some free time available to enjoy the house specialities or go for a ride on the unique merry-go-round! We end our excursion with two stops for photos at the Harold Jack Lookout and Great Bay, two panoramic viewpoints from where we can admire the spectacular coastline. We then head back to the Dutch part of the island and are free to decide how to end our tour: we can go back to the ship or stay in the city centre. The driver is also the guide.